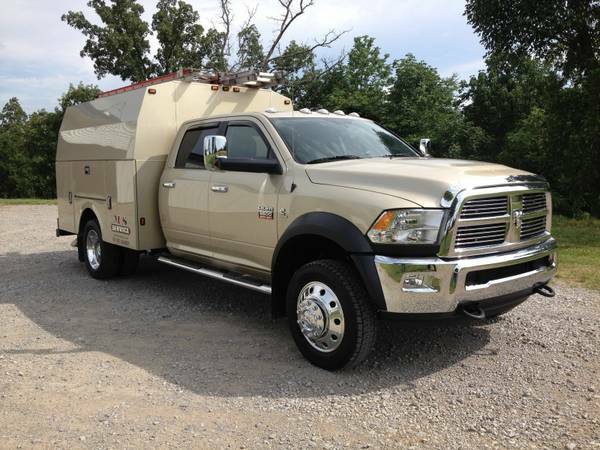 Up for sale is a 2011 Dodge Ram 5500 Series Crew Cab service truck. It is loaded with all power options. It does have heated leather and vinyl floor and was ordered that way from factory. On top of having leather seats, factory dodge seat covers were also ordered for the truck to protect the leather.